In May, the FDNA’s Year of Discovery spotlights metabolic disorders and LSDs. ThinkGenetic partnered up with FDNA to provide information for the highlight. You can see the original article here. Not too long ago it was taught in medical school that rare diseases were just that- rare and you probably wouldn’t see a patient with a rare disease in your practice. Individually, rare diseases have a low prevalence, but in aggregate, more than 8,000 chronically-debilitating and life-threatening rare diseases impact 1 in 10 people. Due to the lack of awareness and limited ability of physicians to diagnose these rare conditions, an average diagnostic journey takes over 7 years, during which patients see an average of 7 different specialists. Inherited metabolic disorders are a classification of genetic diseases caused by a defect in a person’s genes. These conditions may also be referred to as inborn errors of metabolism (IEM). The majority of IEM are due to single gene defects that code for enzymes facilitating conversion of substrates into waste products or by-products recycled by the cell. IEM are challenging for many physicians and with a collective incidence of 1:1,500 persons, there’s a high probability a patient with a metabolic disease will pass through almost all practicing physicians clinics. When there is a loss of milestones, IEM should be high on the radar screen. A further classification of inborn errors of metabolism is a group of diseases known as lysosomal storage diseases (LSDs). Again, while they may be individually rare, collectively they account for 1:7,700 live births. It’s an exciting time in genetics, as advances in the diagnosis and treatment of many inborn errors of metabolism have improved the outlook for many of patients. Early diagnosis becomes very critical. FDNA is working to partner with you in the Year of Discovery to help decrease the diagnostic journey for patients with these conditions. Together, we can make a difference. About Carol Ogg, RPh., BS Pharmacy: Carol Ogg is a clinical pharmacist with over two decades of industry experience helping patients living with lysosomal storage diseases. 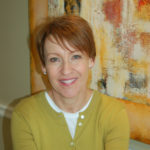 After leaving industry in 2014 and starting her own rare genetic disease consulting firm, Carol saw an unmet educational need and began her work on a collection of educational primers for industry professionals to further their understanding of the basics, which would ultimately yield to a more meaningful and robust conversation with customers. Carol’s passion in the arena of lysosomal storage diseases continues as she continues her journey to make a global difference, one patient at a time. Carol is a critical advsior to ThinkGenetic, Inc. helping to achieving the mission of reducing the time to diagnose genetic conditions and letting the world know that answers to questions about genetic diseases can be found at ThinkGenetic.com and ThinkGenetic SymptomMatcher. Carol Ogg is a clinical pharmacist with over two decades of industry experience helping patients living with lysosomal storage diseases. After leaving industry in 2014 and starting her own rare genetic disease consulting firm, Carol saw an unmet educational need and began her work on a collection of educational primers for industry professionals to further their understanding of the basics, which would ultimately yield to a more meaningful and robust conversation with customers. Carol’s passion in the arena of lysosomal storage diseases continues as she continues her journey to make a global difference, one patient at a time. Carol is a critical advsior to ThinkGenetic, Inc. helping to achieving the mission of reducing the time to diagnose genetic conditions and letting the world know that answers to questions about genetic diseases can be found at ThinkGenetic.com and ThinkGenetic SymptomMatcher. Being a parent of a child with MPS (San Fillipo) in the 1980’s, I am in awe of even the mention of these diseases. What an amazing progression to have so much information available now. I knew from a very early age that something was not quite right with my child, but no one had any answers or even acknowledged a problem. If not for my persistence, I may have never know what we were dealing with. Although my daughter passed away at the age of 16, I still have many questions. Thank you for your research and help for those affected. We are so sorry for your loss Cathy. It’s the passion and drive of each of each one of us at ThinkGenetic to help mother’s like you, who have that intuition, to get a diagnosis at an earlier age. The world of genetics is fast-paced now and we are so glad to be a part of it and make a difference in the lives of patients and families living with a genetic disorder. Thank you for sharing your comments and we hope to be there to answer the many questions you still have.